Stealthy questions ranging from Tiger Feet to Faster, Pussycat! Kill! Kill! The Picture Round is Remember the 90s and the Wild Card Question is a ridiculous date calculation from Star Trek. Q02. What name is given to a triangle which has two sides of equal length? Q15. In 1974 which group spent four weeks at number one in the UK singles charts with the song Tiger Feet? Q24. In the Summer Olympics was there ever such an event as solo synchronized swimming? Q40. The films Faster, Pussycat! Kill! Kill! and Beyond The Valley Of The Dolls are both movies by which cult American director? Here’s a low-res sample of the Remember the 90s Picture Round, click for a higher resolution version. 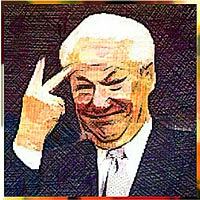 The Picture Round download is a two page high quality PDF with the answers on page two. 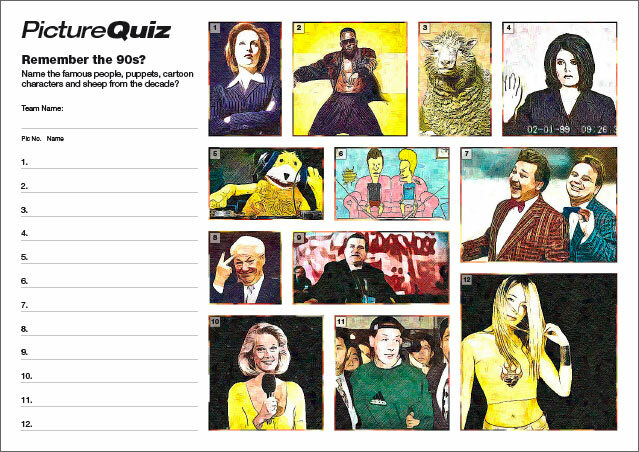 The Quiz 69 Picture Round is can you Remember the 90s and name the famous people in the illustrations? The Wild Card Question for Quiz 069 a ridiculous date calculation from Star Trek.